Prioritizing your work as a learner can be a bit unnerving because you are new to the turf, you want to impress and you don’t want to make any mistakes that could jeopardize your managers’ opinion of you. After all, this could be a future place of full-time employment. The game of prioritization can get even more challenging when you’re thrown in without much guidance in regard to what your seniors consider to be most important. It is not uncommon for individuals working a learnership to find themselves in a pickle; they’ve got too much work, they don’t have enough work, more than one person is trying to utilize them, or the expectations of them are far higher than they should be because a manager has forgotten that they are simply a learner. How are you supposed to know what to tackle first, and who are you to decide if Manager #1’s job is priority over Manager #2’s? How do you figure out what order to handle each of the 10 tasks your boss gave you for the day? How in the world are you supposed to get them all done in a timely and reasonable manner? Have no fear! Follow these top 4 prioritization tips and you will pass your learnership experience with flying colors. This is perhaps the most obvious and effective way to know what work has priority. Simply ask. On top of functioning as your mentor and teacher, your manager still has a job to get done. It can be quite easy to treat your learner as an assistant of sorts, dumping pile after pile of work on their desk without giving it much thought! If you find yourself with a list of to-dos and don’t know where to begin, do not hesitate to get an answer from your manager. For all you know, a task you were given a week ago is not as important as the task that just landed on your list today. You don’t want to be in a position where you continue to work on an old project, completely unaware that the new items need to be done by the end of the day. Knock on your manager’s door, present your list and ask him or her to tell you in what order you should address each item. They will appreciate that you sought clarity because at the end of the day if you don’t get the job done on time… theirs may not get done either. You may also find yourself in a position where another senior member of your team asks you to do something for them, but it doesn’t fall under your job description and you’re already swamped with tasks. It is completely OK to go to your primary manager, present them with the situation and have them decide what to do about it. It is not out of your realm to put your foot down and communicate when you feel you are being used beyond what you signed up for. This is your learnership. You may be given mundane assignments like filing those boxes of paperwork that have been sitting in the corner of your manager’s office for two months, and you may be given tasks that are crucial to the company’s growth and success. Whatever situation you find yourself in, it is important to understand your manager’s expectations. As mundane as that filing may seem, he or she may expect it to be done by the end of the week. They could need it done before giving you another task, they could be testing your efficiency, they could just be trying to keep you busy. 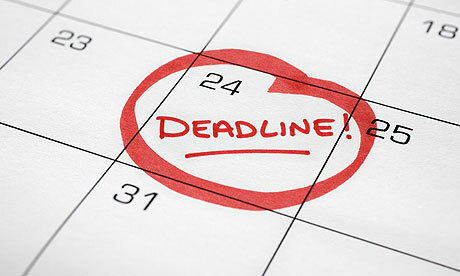 No matter what it may be, you must know your deadlines. Now that you know your deadlines, grab your planner and create a schedule. Block off chunks of time for each task up until it is due so that each item receives the attention it needs. We have all fallen victim to the stress that is not knowing where to start. We have all stared blankly at our computer screens, knowing that there is a lot to do. We have all jumped sporadically from task to task, in a completely unorganized fashion. There are ways around this! Figure out about how much time and effort each task requires and schedule them into your day. From 10-12 you will work on task #1, from 12:30-2:30 you will work on task #2, from 2:30-5 you will work on task #3. Treat each task like an appointment so you are not tempted to steal time from another. Bear in mind that it is more than OK to beat your deadlines, if you can properly fit it into your schedule. Before you close up shop at the end of the day, review your progress and plan for the next. Make a list of your projects and where you stand with each. You may find that you made a lot more progress on task #1 than you anticipated, so you can afford to give an extra half hour to task #2 tomorrow. If you can create your schedule the night before, you will spend less time trying to figure out what you need to work on in the morning, and will be able to get right into it. At the end of the day, planning will make you a more efficient worker. Don’t get stressed out by a heavy workload. If you have a lot on your plate, you should take it as a compliment because it shows that the people and the company that you work for trust in your ability to handle the tasks.